As an actress and writer from Rockville, Maryland, Meryl got her start professionally in over 30 national commercials, soon after appearing in videos for Funny or Die, College Humor and UCB Comedy. 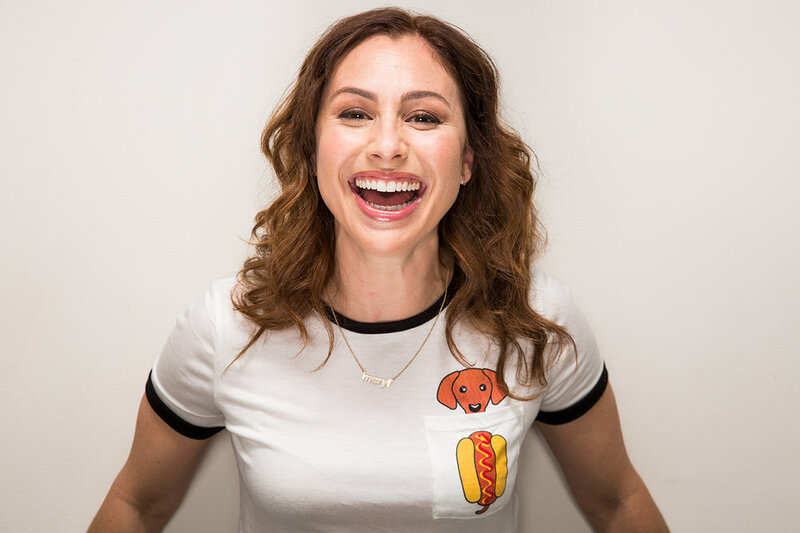 She created and starred in both her self produced web series, "Single Siblings" for which she won both acting and writing awards, and with the sketch series "Winnie: A Sister's Story" in which she played a fictionally obsessed sister to her doppelgänger, Minnie Driver. She also has her health podcast, "The Lemon Grove" to record regularly, sharing medical stories and interviews with humor and honesty. She has since performed live alongside Steve Carrell and Mayim Bialik as a regular on FOX's "Riot" and guest starred on many shows, including "This Is Us", "For the People", "9-1-1", "2 Broke Girls", "Bunk'd" and others. She has also notably recurred as Millie in Hulu's "Deadbeat", as Andie Tate in the return of HBO's "The Comeback" and as Brittany, Eleanor's roommate, on "The Good Place". As an artist and creative, Meryl has a broad portfolio, from her acrylic paintings to logo designs, promotional materials, podcast artwork, original art, typography, photography, makeup artistry and is well versed with photo, video and sound editing. She recently fulfilled a dream by producing her first self-written SAG short film, "It's Your Call" opposite friend Tyler Labine (New Amsterdam, Reaper, Dirk Gently, Deadbeat) with an all female camera department and director. As a makeup artist, meryl has loved painting the faces of women and men of all ages and skin types over 15 years. With the combination of her interest in health and wellness, plus her artistic side, made for a fantastic fit working with Beautycounter. She is passionate about sharing her know-how and information gathered from a long career, and is excited to continue teaching both clients and others alike about the benefits of beautycounter’s products & what they stand for.